When it comes to skin care, one size does not fit all. The reality of multiple skin profiles means there is not one perfect formula or magical ingredient for younger, smoother and brighter looking skin. That's why AlumierMD have designed multifaceted, results-oriented skin care products that target the underlying physiology related to each skin type, condition and person. When addressing your skin concerns we treat you as individuals and the AlumierMD skin care line is customized to meet each individual's needs for optimal results. Science-based, high-performing ingredients and an individualized approach? That’s AlumierMD. Partner these skincare products and treatments with the knowledge of our Nurse Prescriber and you’ve got the perfect combination. We can help you look and feel like the best version of yourself! 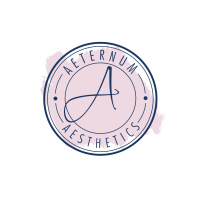 Why not combine one of our Express Mask Treatments with your Skincare Consultation .... its the perfect way to sample the AlumierMD range. Each Mask Treatment is individualised with targeted serums allowing you the perfect opportunity to fully experience our luxury medical range. This deep moisture mask treatment infuses moisture into dehydrated, sensitive and inflamed skin. The result is hydrated, plump and glowing skin. A calming and soothing mask treatment that draws out oil, dirt and toxins whilst stimulating cell renewal for a clearer and more radiant complexion. A highly effective resurfacing mask treatment to exfoliate dead skin and promote skin cell renewal, minimising the appearance of fine lines, wrinkles and hyperpigmentation.